This event will take place at The University of Texas at Dallas (UT Dallas) in the Texas Instrument Conference Room (ECSS 2.102). The conference will be in partnership with UT Dallas Naveen Jindal School of Management and Center for U.S. - Mexico Studies. 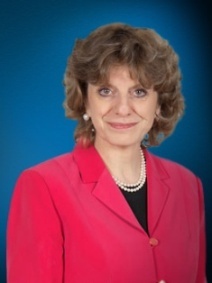 Dr. Dieck-Assad is the current president of EGADE Business School. Prior to this, she was a member of the board of directors of PEMEX, served as Ambassador of Mexico to Belgium and Luxembourg, was Chief of the Mexican Mission to the European Union, and Permanent Representative before the European Council. In Mexico, she has worked for the Secretary of Economic Affairs and International Cooperation of the State Department, Chief of Advisors to the Secretary of the State Department, and Secretary of Economy. Dr. Dieck-Assad obtained her B.A. in economics from Monterrey Tech, obtained her master's degree in economic development from Vanderbilt University and has a Ph.D. in economics from the University of Texas at Austin. Cost: Free to Dallas Business Club Members. 70 parking passes are available and will be provided on a first come first served basis as RSVP's are received. Register: To Ricardo Mier (SMU Cox PMBA Candidate) at Ricardomier_tx@yahoo.com.